← London’s rising fortunes. For good – or not? You say, “…Israel must be held to account not in comparison to elsewhere in the Middle East but rather to other Western armies operating under similar conditions”. There are no other Western armies that have operated, or are operating under similar conditions. No western army is defending its own territory and its own civilians located within a minute’s rocket flight time from its enemies while simultaneously supplying said enemies with electricity, uninterrupted humanitarian aid convoys and a field hospital for wounded. All this while giving unfettered access to enemies in the global media whose unbridled malice has unleashed a tsunami of anti-Semitism in Europe and around the world. the defensive internationally, more so than had Israel banned all journalists from Gaza – or at least the BBC, sworn enemy of the Jewish People. You are suggesting that Israel limit the freedom of the press because of the criticism it gets. Firstly criticism – fair or not – is the price you pay for being a democracy and operating as a ‘free society’. Sceondly who gets to decide when are where that criticism is fair or not? Israeli politicans (if so which ones), a self-appointed group of thought police, Honest Reporting, the judiciary? And how do you decide what is malicious or what is fair criticism? Additionally isn’t the freedom of expression the freedom also to say the unsavoury, not just what that version which is OK in the eyes of some? 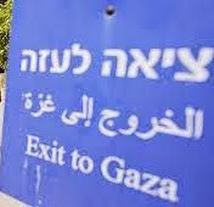 What you are proposing is a short cut to curtailing a fundmantal aspect of a free society, which is what PM Netanyahu said was a core element of Israel’s fight against Hamas. The job of a reporter is to report facts – the truth. It is interresting that even the author of the above article – who is exceptional in his honest introspection – still makes the following statement: “Israel must be held to account not in comparison to elsewhere in the Middle East but rather to other Western armies operating under similar conditions.” But a reporter’s job is not to hold anybody “accountable”. Holding Israel “accoutable” actually sounds more like advocasy than reporting. This is where the problem starts. When a reporter has the mind-set that he needs to hold Israel accountable – then certain facts become more important than others, and some facts actually stand in the way of this accoutablilty goal. The fact that Israeli bombs kill childern – this is part of holding Israel accoutable. Other detials, like the reason why the children where in harms way, Hamas intimidation of reporters, etc. etc., are actually harmful to this “holding Israel accoutable” goal, and thus must not be mentioned in a report. Honesty is only a second-thought. The job of the reporter is not just to provide a list of facts any more than history is there to provide a list of dates. Also the ‘truth’ concerning events is dependent upon from where it is viewed and by whom. It is not an absolute, and the Middle East is a perfect example where different truths are true for different sides about the same thing (about who owns the land, whose scripture offers the final version, how many have died, who is responsible and so on). Good journalists (or news reporters) are guided by honesty in detailing what they see, ‘fairness’ in offering context or explanation and an absence of bias in how they go about their job. 1) A LOT of people in this world, including many media members, seem PERFECTLY EXCITED at any opportunity to bash/criticize Jews. You can see it in what they emphasize, the wording they use, what they ignore, etc. 2) Many people seem to WANT Jews to be losers. They seem to get some sort of personal satisfaction when Israelis are on the losing end of ANYTHING, no matter what it is. That’s how Israel’s neighbors talk, yet when Israel defends itself a ton of media members act like Israel is doing it in a vaccuum. Serious question: How can Israel prove that the crazy lunatics that surround Israel are actaul crazy lunatics? This isn’t about “occupation,” Israel’s neighbors only accept Muslim states. They reject any Jewish state, and they reject Israel. Yet reporters just babble about “Jewish settlements.” Yet reporters ignore the fact that the ENTIRE REGION AROUND those Jewish settlements are “NO JEWS ALLOWED” Arab-dominated settlements.